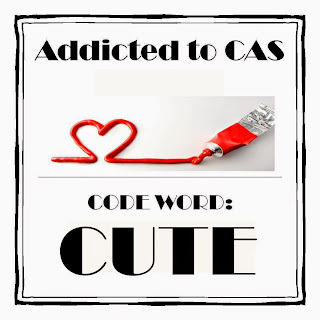 If want to join us for Aprils challenge you can here, there are only a few days left. I used distress ink to color the area on the base so it could peek through. 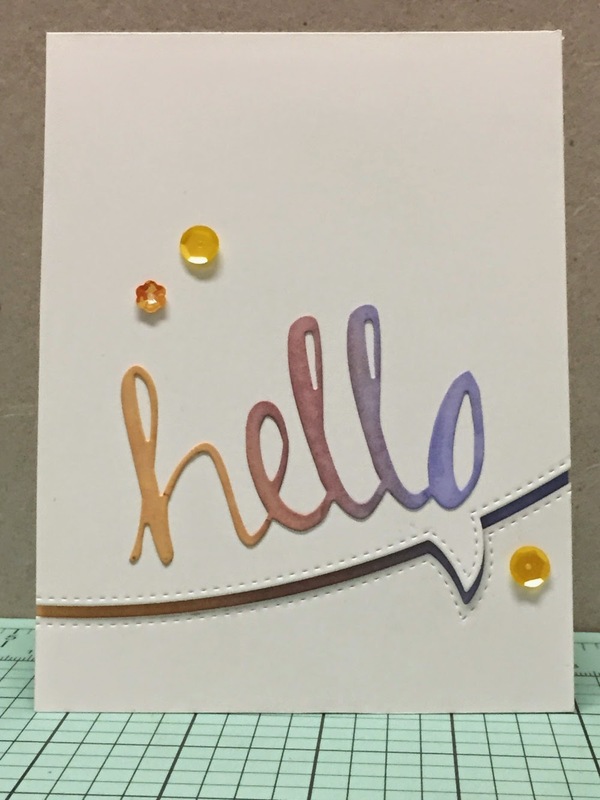 Used the same colors on a scrap so that I could die cut the Hello. Used a die cut to split the panel. The bottom portion is adhered directly to the base, while I attached the top with foam tape. 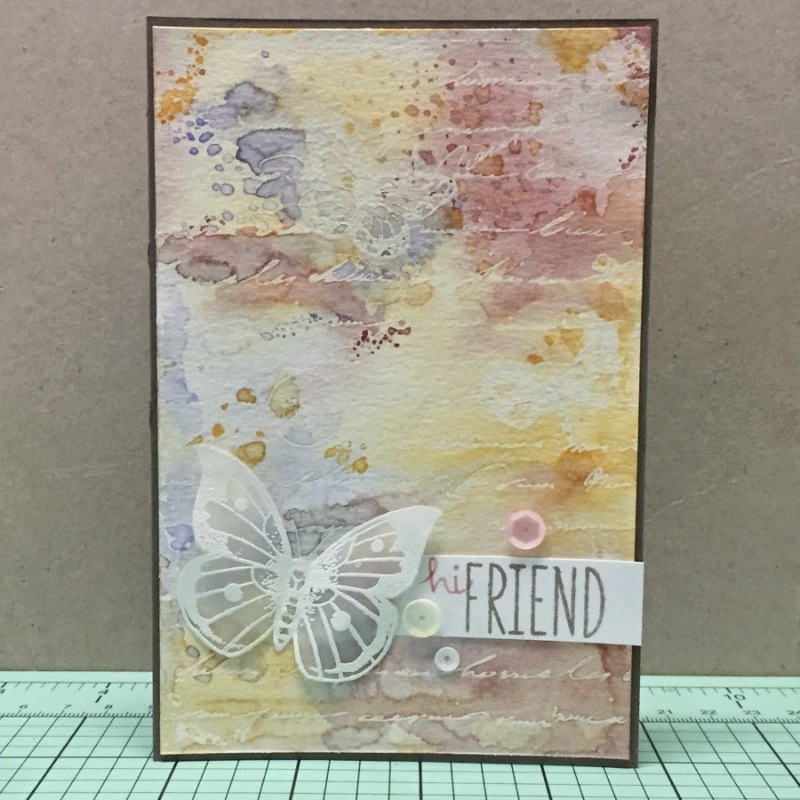 Another Quick card today, I'm going to share this one with the Simon Says stamp pastel challenge. For this card I stamped the image and colored it with distress inks. To add the sparkle I used a wink of stella pen that I refilled with water, I love the sparkle it adds to the watercolor look. Added the sentiment and some sequins and called it done. Thanks stopping by, have a great day/ night! Quick card to show you that I made today, using a little $1 stamp for the first that I got either last year. 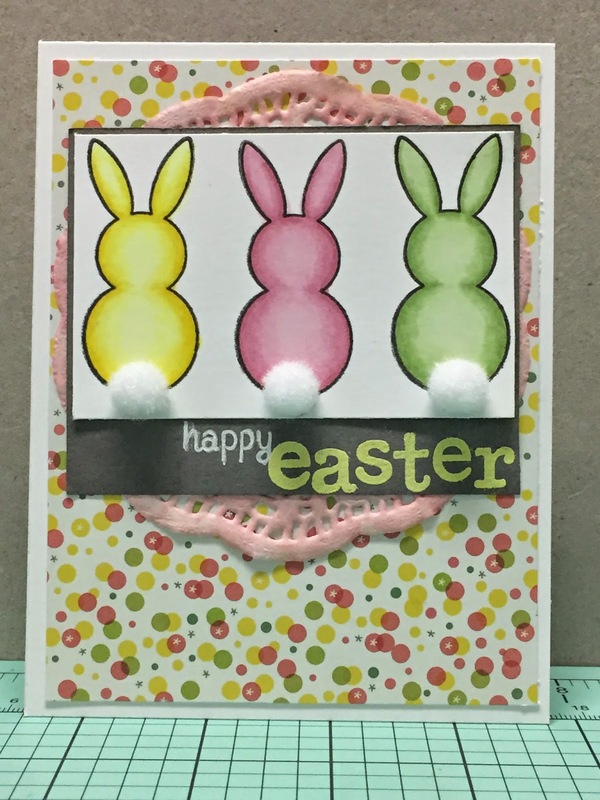 I'm trying to get some Easter cards done so that I can get them in the mail. Nothing like waiting until the last minute, right? I have been wanting to use this stamp just so that I could add some little pom poms for the tails. I think it ended up looking so cute! I also decided to use some pattern paper to coordinate the bunnies with. I feel that I tend to struggle using a larger piece of pattern paper. I tend feel a little more comfortable with more "white" space. So I wasn't exactly loving this card as I put it together, but in the end I liked the turn out. I used distress stain to color the doily. While that was drying I stamped and colored the bunnies with Copics. 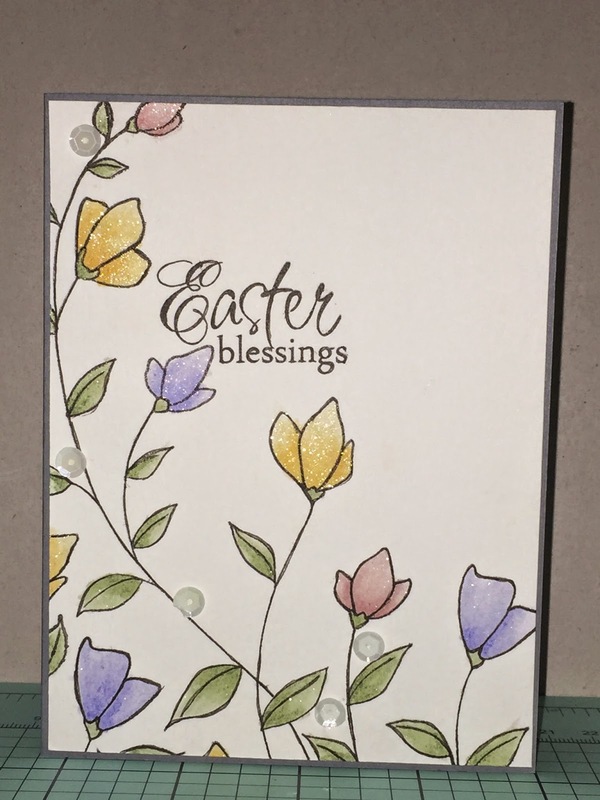 I heat embossed the Easter sentiment in yellow and stamped happy in white. Once the doily was dry I glued it and the pattern paper together and attached them to the card base. After I adhered the bunny panel to the gray embossed I glued them both to the base too. Last I used some glossy accents to attach their cute little pom pom tails. I want to keep the card clean and simple, but to add dimension as well. So I die cut the blue flower from the panel, colored it and attached it to the card base. Stamped and colored the pink flower on the panel. 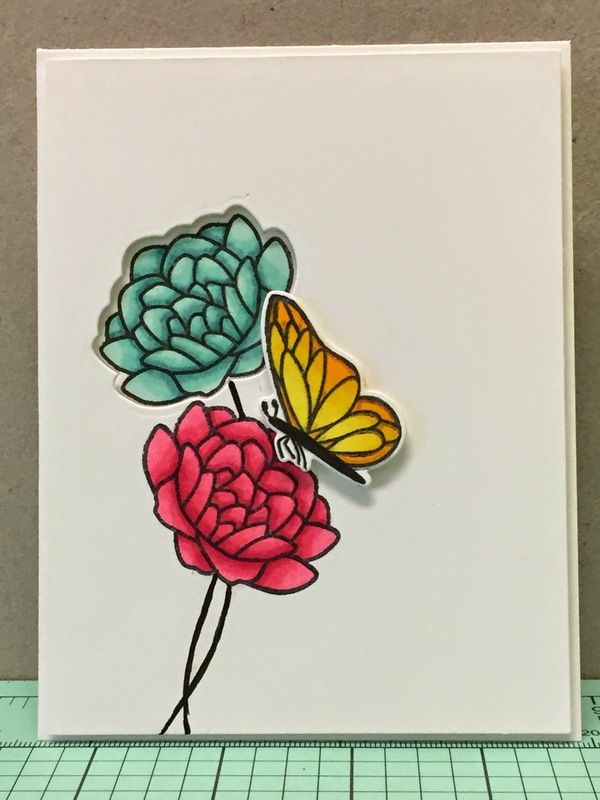 The butterfly was die cut stamped and colored using a scrap and the attached with foam tape. 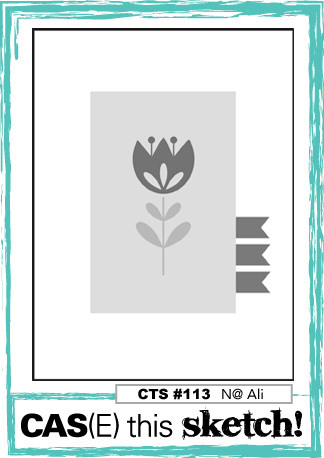 The panel is attached to the card base with foam tape, so that the blue flower is more in the background. Since this is the first time I used both the stamp set and matching dies. Thanks for stopping by hope you have a wonderful day! Hello everyone. Today's card is for my eldest son's birthday, I'm done ahead of schedule! Woo hoo! ;-) He will be 14 on the 1st. I made the card using the sketch from Case this Sketch and will be adding it to there challenge. I also made it so that it would work with the challenge over at Shopping Our Stash. Their challenge is counting on you which gave me even more of an opportunity to use a die that I hadn't used yet. I did flip the side for the ribbon since it was easier to tuck it under the numbers on the left side. 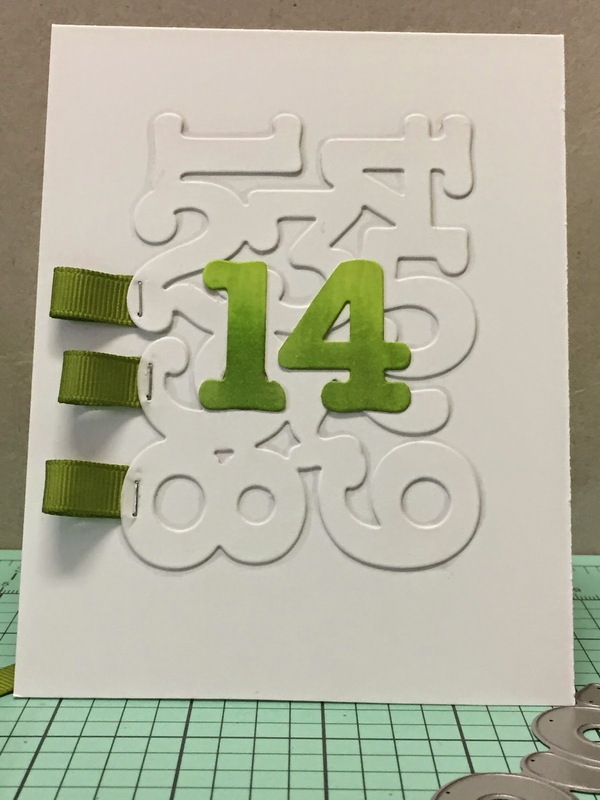 I die cut the number and glued them to the card. Added the ribbon with staples in hopes to keep from being to girly for my teenage boy. ;-) I used the die a second time just to cut out the 1 and 4 and then colored them with Copics before adhering them to the card. Thanks for stopping by, have a fantastic day! Here is another quick little post today. 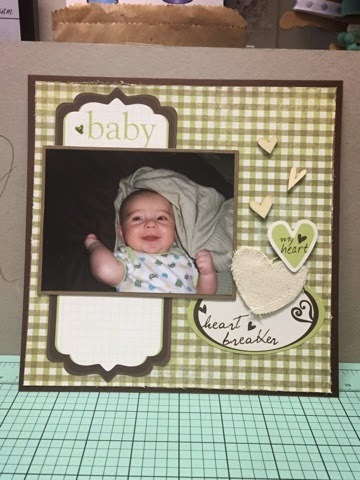 I don't usually share personal pictures, but I thought I would add the scrapbook page I worked on today to Simon Says stamp challenge. This page is for my youngest. He is 3 months in the picture... I just love that smile. 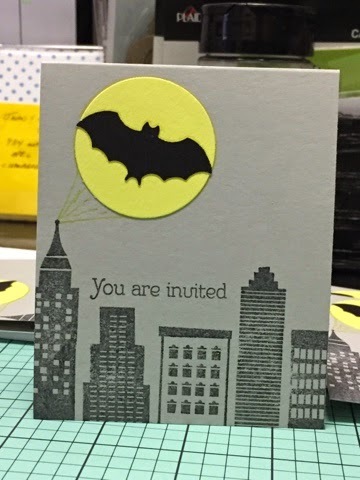 He will be 6 on the 17th and I made the invites to his party today so I thought I'd share them as well. 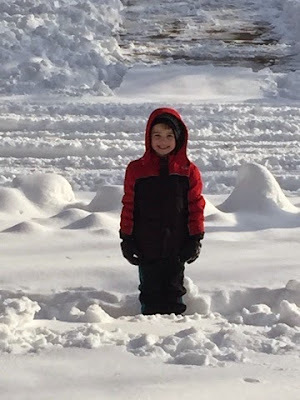 I will be adding them to the Wednesday Simon Says stamp blog for the anything goes. Today's card was made with challenges in mind. 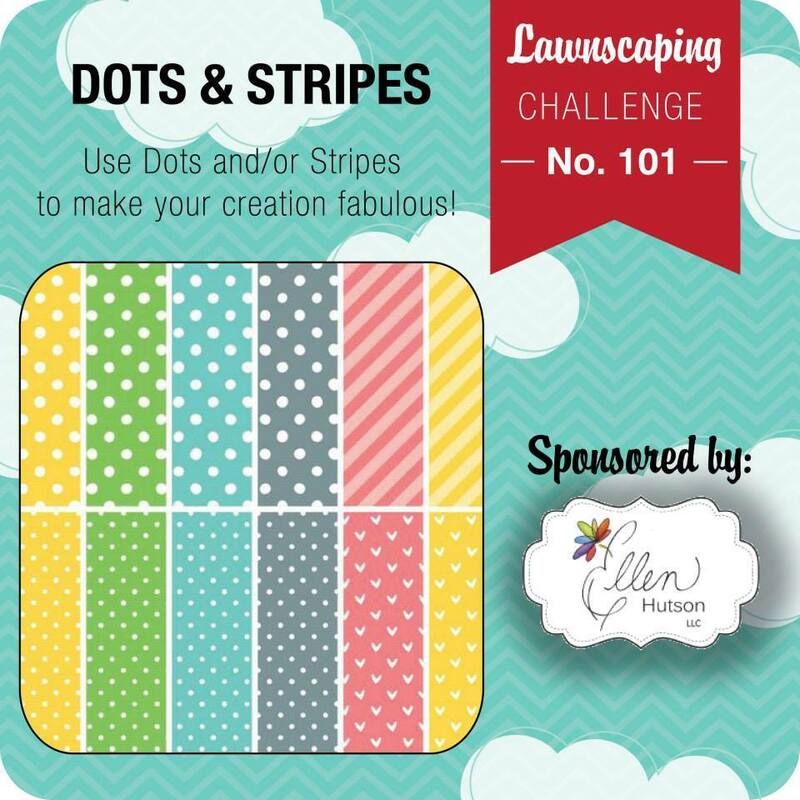 Lawnscaping (Dots and Stripes), Simon Says stamp (Just a hint of clover) and the challenge I do with my little group of friends (use 3 pattern papers). 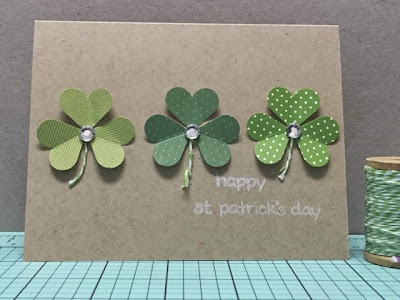 To make my shamrocks I used a heart punch with three different papers and scored them down the center. I used some twine for the stems and added a rhinestone in the middle to cover where the 3 hearts meet. I don't have a shamrock shape die or punch and thought the hearts turned out just as nice! Here is my post for the monthly card exchange over at Society for Stampoholics. Although to look at now looks like I did a card for the March themes! To bad I didn't make two, I'd be a step ahead. ;-) When I chose the stamp I wanted to use spring colors with it and the colors didn't vibe with me for this card fro some reason. I wanted to use my distress inks since I've been enjoying them a lot lately. I work on a loose translation of the sketch and slipped it then used the friend theme for the challenge options. I heat embossed my background image on watercolor paper and then only the butterfly area again on vellum. Dipped my paper in the watered down distress inks until I got the look I want and dried it..Fussy cut the butterfly for some dimension, added my sentiment strip and some sequins.